After been interviewed at Warner Music offices, I realized that 20 min. are not enough to tell people about you. Some people say on a job interview you have up to 7 seconds to make a good impression, and some generous writers say up to 30 seconds. What? Should I carry a stopwatch for the next one? For me, first impressions are about instinct, but lasts impressions are about skills. Every time I walk out the door, I remember everything I should have said. Everything seems to be clear when is too late. Sometimes under pressure the mind goes completely blank, therefore in a sunny and calm afternoon like today, I’m going to bring the key points that I missed. Q. What are the most remarkable campaigns that I remember? Radiohead promoting the physical release of the album King of Limbs. 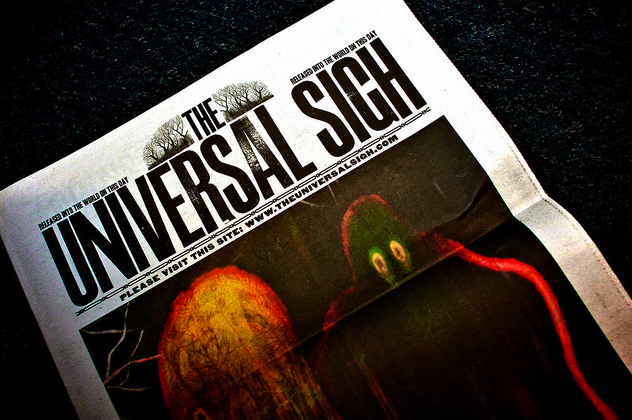 They distributed a free newspaper at 61 locations worldwide, unlike to other artists focusing on online media, they promoted an ink-and-paper handout called the Universal Sigh was a success. Arcade Fire, together with Google and artist Chris Milk, playing the band’s track “We Used to Wait.” It is an innovative online project that makes use of Google Maps and Google Street View to incorporate images of the viewer’s hometown into the video. You just need to provide your childhood address and the video unfolds in multiple windows, taking you on a tour of your hometown. We developed features including video, podcast, interactivity the site. As our target were mums, we create a blogging and newspaper strategy using pediatrician advice, celebrity parenting and customers’ experiences to tell stories. Also we engage parents in seasonal contests, highlighting babies’ talents. I don’t know how useful is to answer these questions a week later, I just know that if I have something to say, I should say it.